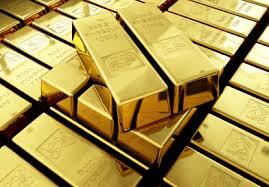 How do Gold prices affect global currency markets? As metals go, gold is one of the least practical. In recent years, it has found a new utility in electronics owing to its conductive properties, but for most of mankind’s history gold has been too soft and malleable to use in tool-making, weaponry, building or any of the other uses to which base metals are commonly pressed. On the other hand, it never tarnishes or loses its lustre and the fact that it is malleable enough to be shaped into decorative designs has given it a notional value that has spanned cultures and ages. Gold coins are first thought to have been used under King Croesus of Lydia (an area that is now part of Turkey) in around 550 BC. Gold became common currency throughout much of the world and even when paper money was introduced, the shiny stuff remained inextricably linked to modernising economies. Under the gold specie standard, the value of monetary units were based on the value of gold coins, whilst under the gold bullion standard, the bearer of paper money could theoretically exchange his paper money for gold on demand. The gold standard was commonplace until shortly after the Great Depression. There’s no longer a direct link between gold and major currencies, but the performance of one still most definitely affects the other. Gold cannot be diluted and the fact that stockpiles already exist that are not consumed in appreciable volume means that gold is not subject to quite the same pressures of supply and demand (at least on the demand side) as many other commodities. Around 60 times the amount of gold that is mined each year already exists in stockpiles and, when demand for gold goes up, so does the amount produced by recycling. At the same time, supply is finite and limited. All this, combined with the cultural and historical value placed on gold, means it is remarkably good at retaining its value. For this reason, demand for gold within a given market usually increases when that economy’s currency is struggling and/or periods of inflation are expected. Gold’s proven ability to retain its value through turbulent or difficult economic conditions makes it an ideal choice for investors looking to hedge their portfolio. It might not be the commodity of choice for making large quick profits, but it is generally a safe option. When demand for gold rises, prices naturally do so too. Rising gold prices can therefore be seen as indicative of a struggling currency or burgeoning inflation, but there are – as always – exceptions. It might not be as useful in the traditional sense as iron or copper, but gold does still see some industrial use and – given the element’s relative rarity – this can also increase demand separately from any issues with currency or inflation. The speed and sharpness of any rises can also vary sharply depending on the market. Gold might not be the currency of choice as it has been through a large part of human history, but it does remain inextricably linked to the ups and downs of our financial markets.